Google loves backlinks coming from domains that belong to high level of authority. We all know how important links are to everyone's website. If you are looking to gain relevant and trusted links with high authority then you should definitively buy this.100% natural Penguin, panda and hummingbird safe SEO backlinks. Your can provide your own title(up to 3) and description(up to 3) also. Live links report will be Provided. 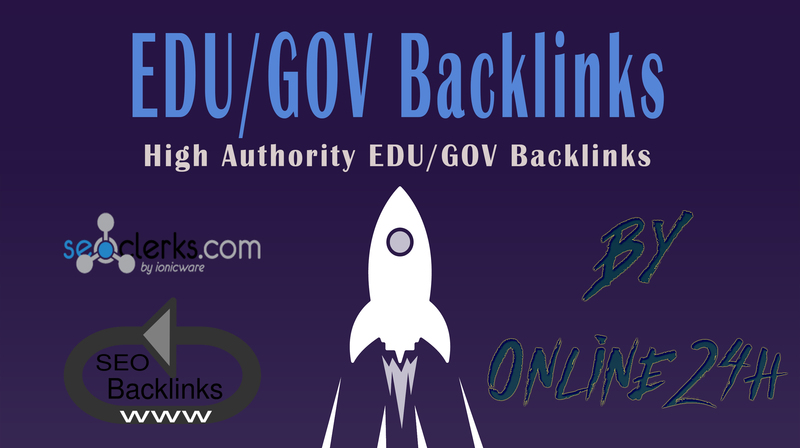 20+ .EDU/.GOV Backlinks From Authority Domains only is ranked 5 out of 5. Based on 305 user reviews.